Here is an eBay offer for a 101st Ohio soldier named Jacob W. Martin, wounded at Franklin. 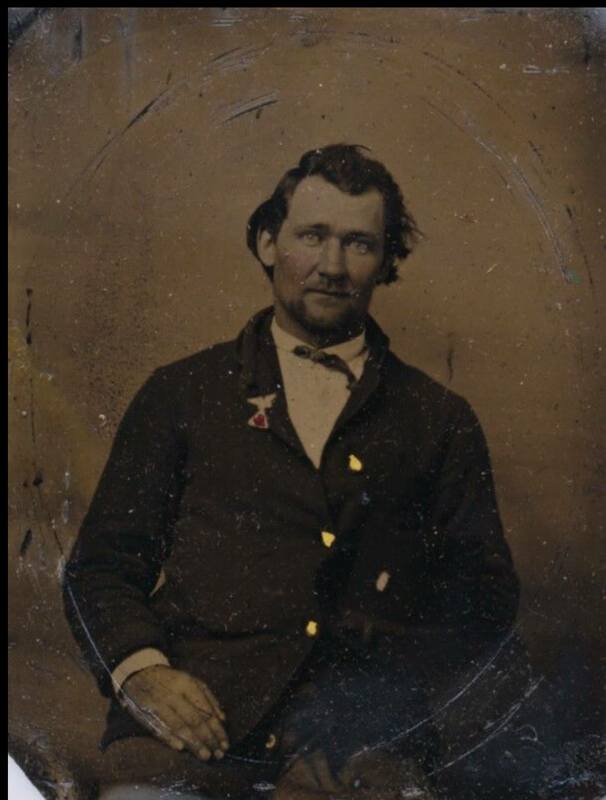 He enlisted on 8/14/1862 as a Private. On 8/30/1862 he mustered into “K” Co. OH 101st Infantry. He was Mustered Out on 6/12/1865 at Camp Harker, Nashville, TN. It is a 1.4 tintype. The 101st Ohio was in Kirby’s Brigade, Kimball’s division, on the far right Federal flank. This entry was posted in Images, Ohio, Union. Bookmark the permalink.